Talented young singers take note: National Youth Choirs of Great Britain (NYCGB) are holding auditions for their four choirs, at venues across the UK and they want to hear from you! NYCGB’s outstanding choirs are for young people from School Year 5 to age 22. All the choirs meet for inspirational residential courses full of rehearsals, classes, coaching, and social activities. 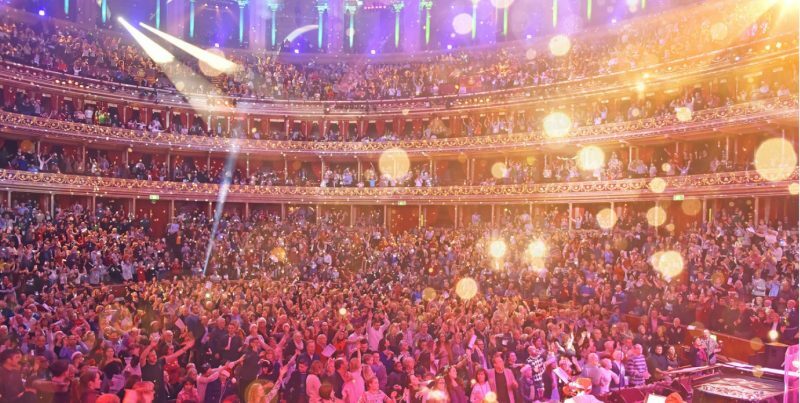 There are outstanding performance opportunities, including concerts at major national venues including the Royal Albert Hall, radio and TV broadcasts, and the chance to take part in recordings and music videos. This years’ annual programme for the National Youth Choir, includes an International Tour to the 12th World Symposium of Choral Music in Auckland, New Zealand. NYCGB is the only choir from the UK to be invited, from over 190 applicants, and the choir will be performing alongside some of the best choirs in the world. NYCGB also run a successful Fellowship Programme. Launched in 2015 the Fellowship is a training scheme for aspiring choral leaders which develops solo and ensemble performance technique, leadership and educational experience, and professional skills and networks. Each year, eight outstanding candidates aged 18-25 are selected from open applications to join the programme. National Youth Boys’ Choir – for boys entering School Years 5 to 10 on 1 September 2019. First course for successful candidates: Spring 2020. National Youth Girls’ Choir – for girls entering School Years 6 to 10 on 1 September 2019. First course for successful candidates: Spring 2020. National Youth Training Choir – for young people with mixed voices entering School Years 9 to 13 on 1 September 2019. First course for successful candidates: Spring 2020. National Youth Choir – for mixed voices. External candidates must be aged 18+ on 1 September 2019 and no older than 22 on 31 August 2019. Full-year programme for successful candidates, commencing September 2019. Auditions cost £35, with free auditions for children receiving free school meals. Financial assistance is available for other candidates through the NYCGB Financial Assistance Scheme, which also offers support with costs of membership for successful candidates. All NYCGB auditions last 10 minutes. Candidates sing a song of their own choice with piano (an accompanist is provided), an unaccompanied song from a set list, and take age-graded musicianship tests. Candidates do not need to have passed singing exams, or to be having singing lessons, but everyone is advised to visit NYCGB’s website to find out what happens in the audition, and how to prepare.